Once better known for its cork production than its wines, this vast region of southern Portugal has not only become the leading producer of quality wines in the domestic market but is increasingly gaining traction in international export markets—in particular the U.S., Angola, Brazil, China, Canada, and Switzerland. Largely made from blends of native varieties, Alentejo’s voluptuous red and aromatic white wines are being recognized around the world for their distinctive character, versatility, and excellent aging potential. Located in southern Portugal, the region of Alentejo is bordered by Beira Baixa to the north, Spain to the east, the Algarve to the south, and the Atlantic and two other Portuguese regions to the west. It occupies more than a third of continental Portugal and has a long history as a major producer of grains and cork. Even today, nearly half of the world’s supply of corks is cultivated from the region’s cork oak trees. Its wines, however, have lately taken center stage. 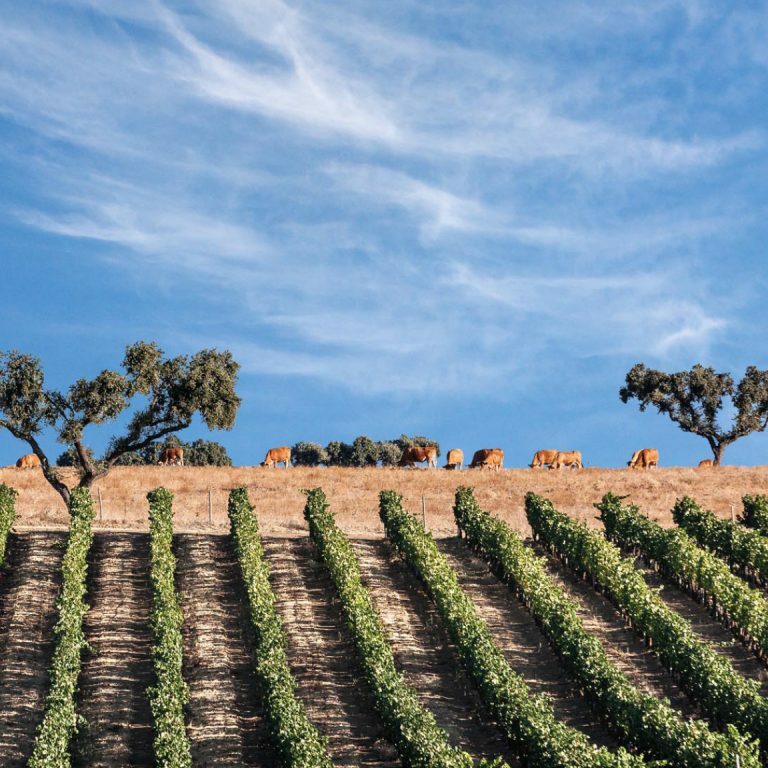 Alentejo really began coming into its own as a wine region in the 1980s, when financial assistance from the European Union enabled a number of cooperative producers to focus on upgrading the quality of their wines. Also, starting in the mid-1990s, the number of privately held wine estates began to increase significantly—from 45 to 260 between 1995 and 2010. By 2010, Alentejo had taken over the domestic market’s largest share of quality wines. In 2014, exports of Alentejo wines outside the European Union accounted for approximately 14 percent of the region’s total production. In 2016, exports to the U.S.—Alentejo’s third largest export market—amounted to 1,719 gallons of wine; in 2017, Alentejo exported 1,639 gallons to the U.S. Today, there are 263 producers in the region, as well as 97 merchants who purchase wine from local producers for their own label bottlings. Most of these businesses are owned and operated by families. There are just over 20,000 hectares of vines planted in Alentejo’s soils, which range from granite and limestone to marble and schist. The landscape is typically Mediterranean. The climate is continental, with a long, hot growing season and sunny weather that’s tempered by dry breezes and cool nights. Favorable climatic conditions and heightened environmental awareness have helped make sustainable farming efforts a priority in the region—efforts encouraged by the Alentejo Regional Wine Growing Commission (CVRA), which has created a formalized wine sustainability program known as the Wines of Alentejo Sustainability Programme, or WASP. Map courtesy of Wines of Alentejo. Alentejo comprises about 27,272 square kilometers, with approximately 20,670 hectares under vine. The landscape features gently undulating plains, which periodically give way to sprawling vineyards, forests of native cork and holm oak trees, and olive groves. Alentejo’s relative flatness and consequent lack of physical barriers to block the condensation of humidity coming from the ocean minimizes the Atlantic’s influence in the region. But Alentejo’s few ranges of hills and mountains have a significant influence on the diverse growing conditions in each of its subregions. The continental climate is characterized by low rainfall; long, cold winters; and hot, dry summers. Irrigation is permitted. Springtime brings a risk of frost. The region’s vines have traditionally been bush trained, but it’s common for new plantings to be wire trained to allow for mechanized harvesting. The history of Alentejo is a turbulent one. The region has seen alternating periods of vigor and decline, war and peace. With regard to wine, there are many archaeological finds that suggest wine was already part of daily life in the area by the time the Romans arrived. With their farming expertise, the Romans helped further cultivate the local vineyards and cemented winemaking as a mainstay of the Alentejo lifestyle. Roman influence was so critical in the development of Alentejo viticulture that even today, after more than 2,000 years, signs of Roman civilization are apparent in winemaking tasks, such as fermenting the must and storing wine in talhas de barro, or clay vessels—some of which weigh up to a ton and have the capacity to hold 2,000 liters of wine. When the Moors invaded the Iberian Peninsula at the beginning of the 8th century, the introduction of Islamic culture led to a gradual decline of winemaking in the Alentejo—the Moors remained in power until 1165. By the 16th century, wine began to flourish again in places like Évora and Beja, as well as in Alvito, Viana, and Vila de Frades, where the blending of red and white wines together was a popular style of the time. During the 17th century, Alentejo wines—along with those from Beira and Estremadura—became the most renowned among Portuguese wines. But war and other political influences put an end to the wine region’s success. It wasn’t until after the French invasion of Portugal that wine culture returned to the Alentejo, with the blessing of the royal family and the new religious orders. In the mid-19th century, there was a campaign to reinstate agriculture in the region, and a new generation of farmers revived the vineyards. Another downturn occurred in Alentejo wine cultivation when phylloxera hit vineyards in the late 1800s. The louse epidemic, followed by two world wars, a series of economic crises, and a campaign to cultivate grains instead of vines, led to another decline in winemaking. The region’s wine industry didn’t begin to recover until the end of the 1940s. 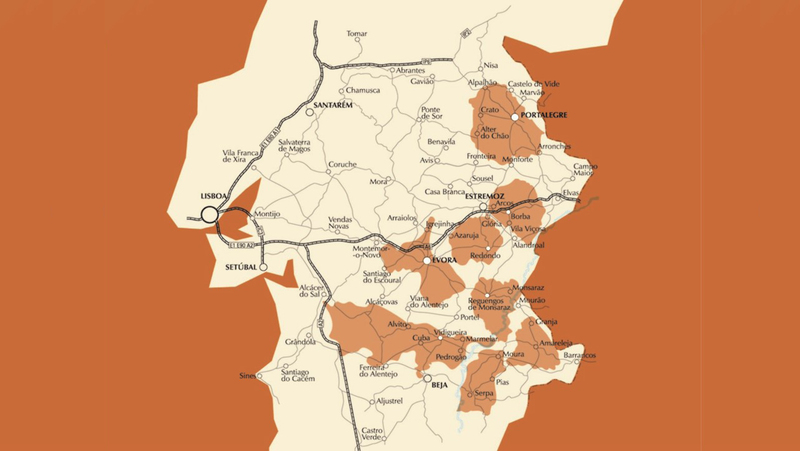 The first appellations in Alentejo were designated in 1988, and the CVRA was founded in 1989 as a private institution dedicated to certifying, controlling, and protecting all Alentejo wines. There are two types of appellations in Alentejo. One is the more stringent designation of origin (PDO); the other is a less strict geographical designation (PGI). The total approved PDO vineyard area is approximately 11,763 hectares. The remaining vineyard area for the PGI denomination is approximately 6,233 hectares. 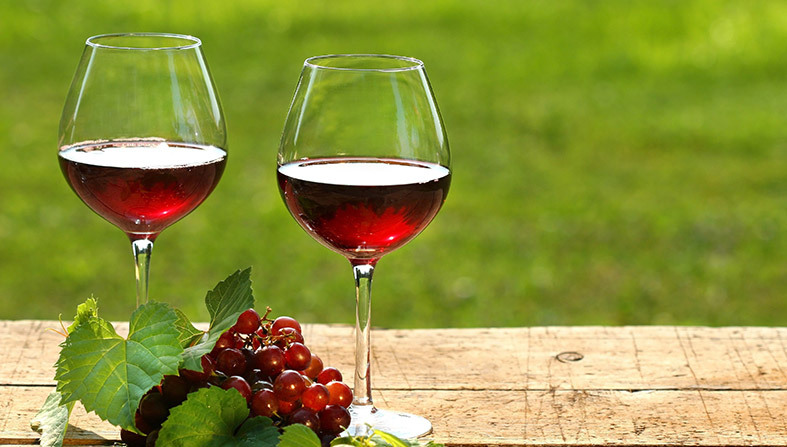 Producers making wine under the PGI classification—those whose vineyards lie outside the eight denominated subregions, as well as numerous well-known winemakers within the PDO areas—have greater autonomy in their choice of viticulture and viniculture practices and grape varieties. They are allowed to grow some non-Portuguese varieties alongside traditional Alentejo varieties. The average production in the overall Alentejo region is 7,625 kilograms per hectare. All producers in the region seeking PDO or PGI designation must obtain certification of their products by the CVRA. This can be done for these categories of products: white, red, and rosé wines, fortified wines, sparkling wines, pomace-based spirits, and grape-based spirits. Many indigenous grape varieties are cultivated in the Alentejo, each of which contributes to distinctive characteristics of the wines. A number of nonindigenous grapes have also been introduced in recent years; they’ve added new flavors and greater value to the local blends and helped solidify Alentejo’s reputation as a leading winegrowing region. Nearly 80 percent of Alentejo’s wine is made from red varieties. Just under 20 percent is made from white grapes (less than 2 percent of the production is rosé wine). Native to the Dão region, this fertile grape variety is becoming increasingly popular in Alentejo. Alfrocheiro yields richly colored wines that achieve good balance between warming alcohol, fine-grained tannins, and crisp acidity. The grape gives dominant notes of blackberry and ripe wild strawberry and adds structure to Alentejo’s blends. Deeply rooted in the Alentejo winemaking tradition, this red-fleshed teinturier grape variety is often assumed to be a native species; it hails, however, from France. Alicante Bouschet produces soft, fruity wines with deep color, good structure, and firm tannins. In blends, it boosts color, vigor, and volume, expressing aromas of forest fruit, cocoa, and olives, as well as vegetal notes. Most likely a native of Rioja, where it’s known as Tempranillo, Aragonez is an early-ripening grape. It produces wines with a relatively low level of acidity. In the Alentejo, it’s commonly blended with Trincadeira and Alicante Bouschet. This international variety reveals a particular style in the Alentejo, where it can ripen to perfection. 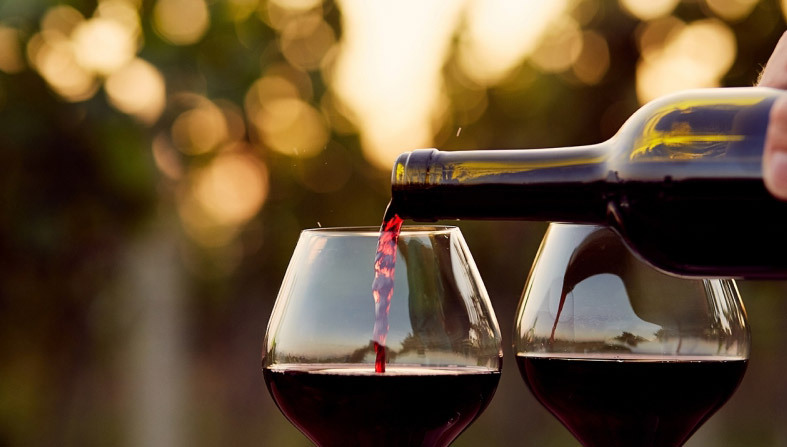 Though only small amounts are used, Cabernet Sauvignon adds concentrated color, spice, body, and consistency to the local blends, resulting in wines that are well-balanced, aromatic, fruity, and spicy. It’s rarely bottled as a single-varietal wine in Alentejo. For years, Castelão was the most widely planted grape in Portugal, including in the Alentejo, but these days plantings are in decline. However, when Castelão is cultivated in carefully controlled mature vineyards, where yields are deliberately kept low, it can produce well-structured, fruity wines with mouthwatering acidity and prominent tannins. This grape typically displays notes of currants, preserved plums, wild berries, and hints of game. High-quality Castelão wines have excellent aging potential. This nonindigenous variety has adapted extremely successfully to the diverse climate of the Alentejo. It yields full-bodied, fruity, spicy wines that can be enjoyed young but also have the potential to age. Syrah is seldomly bottled as a single-varietal Alentejo wine. Rather, small amounts are used in many of the region’s most prestigious blended wines. Touriga Nacional is the most renowned Portuguese grape in Portugal—and elsewhere. It has a long history in the Dão and Douro regions of the north, both of which claim it as their own indigenous variety. It’s a thick-skinned grape that in the Alentejo is often blended with other varieties. Blends made with Touriga Nacional have intense fruit and floral aromas, sometimes with hints of citrus, and they tend to be powerful, with concentrated color. A temperamental variety, Trincadeira thrives in subregions of the Alentejo that have poor soil and a hot, dry climate. It produces irregular and unpredictable high yields. 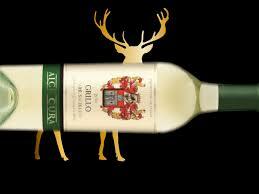 Its wines are aromatic and fruity, often with hints of floral and vegetal notes. It has traditionally been blended with the Aragonez grape and has proved indispensable to many Alentejo blends. Considered the most important of Alentejo’s white varieties, the Antão Vaz grape produces consistently high yields. Its wines are full-bodied, aromatic, and firmly structured. The longer Antão Vaz grapes are left on the vine, the higher the alcohol content. Unless the grapes are harvested early, the wines tend to have low levels of acidity. Antão Vaz is often blended with Roupeiro and Arinto, both of which boost the acidity of blends. Antão Vaz wines are often aged in new oak barrels, and they’re frequently bottled as single varietals. Common aromas include tropical fruits and tangerine peel, and the wine features subtle minerality. Due to its versatility, Arinto has become a popular domestic grape for blending. It produces crisp, vibrant wines with high natural acidity and bracing minerality. These wines also have strong potential for aging. This grape adds freshness and acidity to the blends of the region. Although aromatically restrained, with little exuberance or intensity of its own, it imparts subtle aromas of green apple, lemon, and lime, and sometimes passion fruit, alongside a vegetal and mineral character, which at times can be quite pungent. Arinto benefits from extensive maceration and a long fermentation at low temperature; it can be further enhanced by barrel fermentation. The most widely planted white grape variety in Portugal, Fernão Pires has gradually taken a strong hold in the Alentejo. It’s a high-yielding, versatile grape with fragrant aromas of lime, lemon, lemongrass, lime-tree blossom, basil, roses, tangerines, and orange blossom. It can be low in acidity, and sometimes the variety is subject to early oxidation. Fernão Pires wines are best enjoyed in their youth, when their flavors are still vibrant. A vigorous variety that ripens early and offers medium yields, Gouveio has been rapidly and widely adopted throughout the Alentejo. 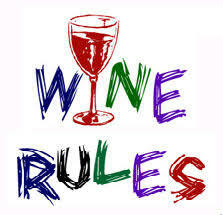 Its wines tend to be creamy and full-bodied, with high alcohol with firm acidity. Telltale notes include citrus, apple, peach, and anise. The wines have good aging potential. Fragrant with notes of orange, lemon, peach, melon, bay leaf, and wildflowers, Roupeiro tends to lose its initial aromatic intensity fairly quickly, leading to wines that become neutral in the bottle after some months. Is it any wonder rosé wines have become a global phenomenon? Diverse, food-friendly, crisp and light, they are as pretty to look at as they are delicious. These days, rosé wines are made all across the globe in a variety of styles from nearly every black grape imaginable, and they all have a way of turning any get together into a special occasion. While there are, of course, exceptions, as a general rule, the Old World (those European countries with an ancient history of winemaking) tends to produce a drier, more subtle style of rosé in comparison to the richer, more exuberant examples prevalent in the New World. While its color may range from barely blushing to deep pink, there are three methods that give rosé its distinct hue, all relying on the pigment derived from black grapes. This is widely considered the purest method of creating rosé: after pressing, black grapes are left in contact with the juice for a short time, usually no more than two days. The colour derived from the skins, in a process known as maceration, produces a pink wine. Rosé can also be made by simply mixing red and white wines together. This allows producers to choose the exact color and flavor they prefer. The practice isn’t widely used, except in Champagne, where nearly all of the sparkling rosé is made by adding a little red wine — Pinot Noir, usually — to the blend. Regardless of which method winemakers use, rosé can only be made using black-skinned grapes — Grenache, Pinot Noir, Syrah and Tempranillo among them — although white-skinned grapes may be part of the blend. And with so many different varietals being used, there’s a rosé for everyone’s palate. Easily one of the most famous grapes on earth and best known as a classical red wine producer, Cabernet Sauvignon creates deep pink rosés with many of the black pepper, cherry and vanilla flavors typical of the varietal. Rosés from this grape tend toward the darker, heavier end of the spectrum, making them a natural fit alongside rich dishes like tangy barbecued ribs and thick-cut steaks. Having first gained renown as one of the primary blending grapes for wines from Provence, in southern France, Grenache is now used the world over. Its popularity stems from the fact that it produces juicy, bright pink wines with loads of luscious, floral aromas. Some goat cheese slathered on a baguette and a Grenache rosé equals picnic paradise. Famous for creating delicate yet complex red wines, Pinot Noir reveals those same subtle qualities when used to make rosé. The grape produces deeply aromatic wines often made in a dry style and featuring watermelon and pink grapefruit flavors. A carefully composed niçoise salad with seared tuna or fresh boiled corn dripping with butter would pair equally well. Also known as Shiraz, this widely planted rich, red grape produces a big, bold, dark rosé that can hold its own against all kinds of full-flavored dishes. You’ll almost always taste red fruits on the palate, along with a slight earthy, herbaceous quality and a touch of smokiness that really plays well with grilled dishes. Spain’s most famous red wine grape also makes exceptional rosé. It’s not just the Spanish, however, who appreciate the potential of this tasty grape. Winemakers across the globe are turning out spectacular examples that are rich with raspberry and cherry flavors and, appropriately enough, the scent of roses. Grilled seafood and shellfish are right at home alongside a cool glass of Tempranillo rosé. Red, White & Blue Cocktails for Celebrating 4th of July in Style! Looking for some colorful drinks to celebrate 4th of July in Style? Here are our top picks to give your holiday celebration some patriotic flair! Place 2 tablespoons of fresh strawberries into bottom of wine glass and muddle into juicy pulp. Add Dozen Roses Rosé until glass is 3/4 full. Top with sparkling water or club soda and add fresh mint leaves for garnish. Fill cocktail shaker with ice. Add the gin, Cointreau and lemon juice. Sprinkle sugar onto plate. Moisten rim of chilled martini glass with lime wedge and dip moistened rim into the sugar to coat lightly. Fill cocktail shaker with ice. Add cranberry juice, vodka, curacao and lime juice; cover and shake. Strain into martini glass. Whether you’re celebrating at the pool, beach, lake or right in the comfort of your air-conditioned home, they cocktails are easy to make — and easier to drink — so you’ll definitely want to try them all! It’s officially weddings season! For the brides, grooms, parents and other loved ones who are happily planning for their version of “wedding of the year,” it can be a daunting task. Finding the perfect venue, gorgeous flowers and a mouthwatering menu that will have your guests talking for months is hard enough, but then you have to choose the wine! And, that can be very difficult. Until now. 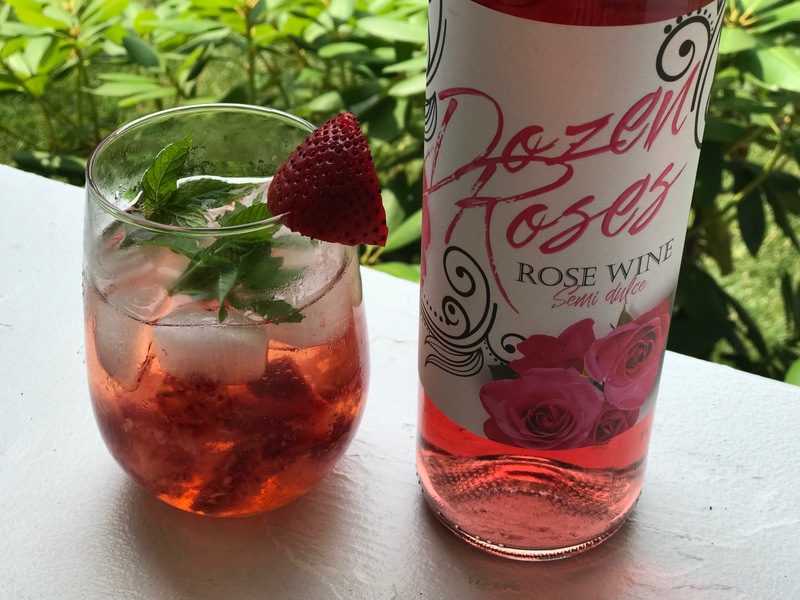 Introducing Dozen Roses Wine — in white, red and rosé varietals — beautiful-tasting wines in equally beautiful bottles. Bottles pretty enough to take a place of honor at the table on your most special of days. Crowd-pleasing, semi dulce wines that that are big on taste — small on cost and with white, red and rosé varietals, there’s an option for every course, every menu item, every wine drinker at your wedding. Selecting only the best grapes from the harvest, then gently crushing and destemming, results in first class“free-run” juice. Fermentation, at low temperatures, facilitates a slow sugar consumption and brings out the best aromas and qualities of the varietal. By stopping the wine from complete fermentation, the winemakers preserve a delicate balance of light sweetness that is heaven with every sip. The result is an ultra-smooth, easy-drinking white that’s best served chilled with your favorite food and your favorite people. Universally appealing, what we call a “crowd pleasing” white. Love from first taste to last. Harvested at the peak of maturation, gently crushed and destemmed, this lush, round fruity red is fermented and pumped over in stainless steel tanks. By carefully monitoring temperatures, the winemakers extract the maximum amount of flavor, color, and inherently rich qualities of the Tempranillo grape, with just the slightest hint of sweetness. incredibly smooth, without even a hint of bitterness or bite, get ready to fall in love. Through careful monitoring in the vineyard, the grapes are harvested at the optimal point of maturation. After crushing and destemming, the grapes are stored in stainless steel tanks, maintaining a maceration of several hours, giving the wine its rose-pink hue. Low-temperature fermenting ensures a greater extraction of flavors, while the mouth-pleasing fruitiness is a result of knowing exactly when to stop the fermentation process to maintain its pleasant sweetness. A wine that is made for dining al fresco, or enjoying a sunset with nothing but a wine glass and someone you love. Like summer in a bottle, you can practically taste the warm Spanish sunshine with every sip. Of course, before you commit—to the wines that is—you really need to sample. That’s where your local Wine Country or Wine & Whiskey Country Store come in. They’re the first in New Jersey to carry Dozen Roses Wine and they’re more than willing to let you take a taste or two. 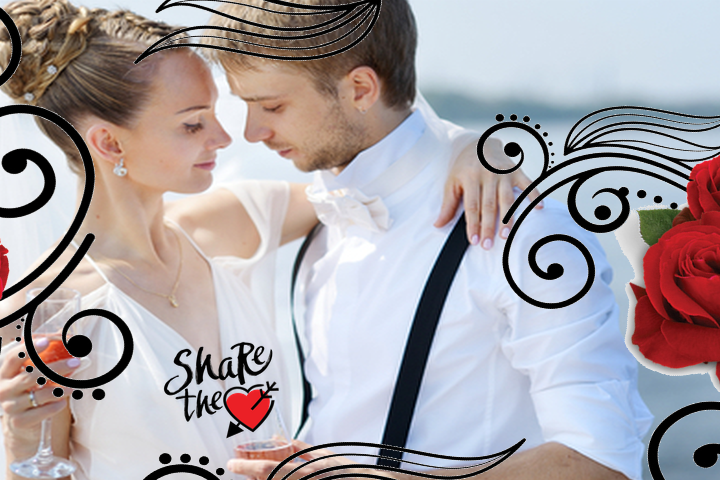 Because once you do, they know you’ll want to Share the Love by making it a part of your once-in-a-lifetime day. No Matter What You’re Grilling! The weather is warming up and that can only mean one thing…it’s BBQ season! A time for healthy grilling, dining outdoors and of course, great wine! 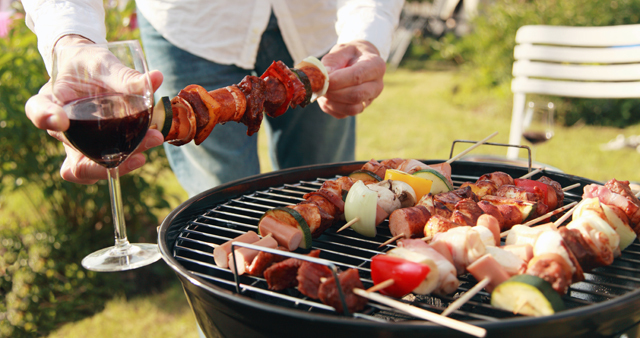 But, what wine should you serve with your favorite BBQ fare? It depends. Certain wines blend beautifully with burgers, but horribly with grilled fish, so it all comes down to the right pairings. But, don’t worry about making the wrong choice—we’ll take the guesswork out and give you some great tips on which wines to pair with the most popular BBQ foods. Take the all-time American grilling favorite and pair it with the National Grape of Argentina! Argentinian Malbecs are renowned for their dark fruit flavors and smoky finish. And, if you’re looking for an alternative to higher priced Cabernet Sauvignon and Syrah, this is it. Big juicy burgers are the perfect food for Malbec. And, if the weather is really hot, don’t be afraid to pop your Malbec in the fridge to add a bit of chill—despite what wine snobs might say, red wine needs to be served cooler in hot weather. We Recommend: King Malbec, Maipe Malbec Reserve Mendoza, and Achaval-Ferrer Malbec. Sure opposites attract, but sometimes the very best pairings are those that are alike. You don’t have to grill meat to enjoy a good BBQ and we’ve got the perfect wine to go with that meatiest of all veggies…the mushroom! Sensuous and silky, Pinot Noir’s enticing sometimes earthy perfume is practically made to pair with mushrooms. Intensely flavored, complex, with incredible longevity—it’s a wine meant to pair with food and since it’s lighter than heavier Cabernets, Pinot Noir won’t overshadow your meal. There’s lots of reasons why Rosé appreciation is on the rise and one is it’s ability to pair with classic summer foods. 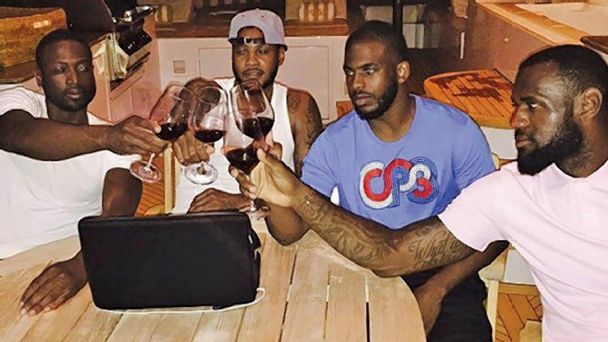 Rosé is the absolute perfect hot-weather wine. Poolside, al fresco dining, beach picnics, no wine is a better choice for summer than rosé. Now, add some grilled chicken with your favorite dry rub or tangy BBQ sauce and you have the makings for a memorable summertime feast. Hotter weather sometimes calls for lighter foods and wines and few combinations are lighter and more refreshing than fresh fish and chilled Chardonnay! One of the few white wines that gets better with age, some Chardonnays won’t reach their peak of flavor for five to eight years. The aging process, done mostly in oak barrels, give buttery and toasty flavors to the wine and a crispness that really enhances the flavor of your favorite grilled seafood. For many, BBQs are a natural setting for bringing out the beer—and with good reason. The carbonation, acidity and coldness of beer acts as a natural palate cleanser. But, fear not, wine lovers you too can experience that same palate-cleansing effect, that same freshness. How you ask? Sparkling wine. It’s bubbly, it’s cold, it’s the perfect effervescent beverage to kick off a season of outdoor dining, warm nights and good wine. So, cheers to the unofficial start of summer and to a season full of perfect wine and BBQ pairings! Chardonnay is among the world’s most popular white wines. So popular, in fact, that we celebrate National Chardonnay Day each year on May 24th. Paired with food or all on its own, Chardonnay is a great wine 12 months a year. While heavier reds can be tough in the heat of summer, Chardonnay knows no season. As comfortable with grilled chicken at a BBQ or turkey at Thanksgiving, Chardonnay is a wine for all seasons and all reasons. Chardonnay is one of the few whites that actually gets better with age, in fact some Chardonnays won’t reach their peak of flavor for five to eight years after bottling. But, one of the things that really gets people going about Chardonnay is its “dual-personality” — some chardonnays are crisp, fruity and bright, while others are creamy, buttery and oaky. It’s like they are two entirely different wines. But they’re both Chardonnay. Interesting, right? Simply put, it’s all in how it’s aged. During the fermentation process, essential to all wines, the barrel that the wine is fermented in has a huge impact on the flavor of the wine. Steel-aged Chardonnays tend to be fruiter, with lots of bright apple and citrus flavors. You’ll find many European Chardonnays are steel-aged, but there’s one from California that we really like and there’s not a hint of oak in it (not even in its name): Tolosa No Oak Chardonnay. American Chardonnays are almost exclusively oaked and usually have a rich creaminess their European counterparts do not. Oak-aged Chardonnays are less fruit-forward, and are often described as “buttery.” Some oaked Chardonnays are aged elsewhere and then stored in oak barrels, resulting in a wine that is less oaky than those that are both aged and fermented in oak barrels. Nothing makes us happier than a “butter bomb” chardonnay and one of our absolute favorites is California Wine Project Chardonnay. It’s smooth, creamy, imminently satisfying and did we mention it’s just $10 a bottle! Don’t miss it! Whether you like your Chardonnay with or without oak, be sure to have your favorite bottle ready to toast on National Chardonnay Day! Sure flowers are pretty for Mother’s Day, but what Mom wouldn’t be a whole lot happier with a “bouquet” of a dozen Rosés instead? Beautiful pastel colors, light, refreshing and as necessary for summer as sunscreen and barbecues. Lighter and fresher than heavy reds, but with a tinge of color that gives it more personality than white, Rosé wine is actually made when red grapes are lightly crushed and left to soak with their red skins. The longer the skins sit in the wine, anywhere from a few hours to a few days, the “pinker” the finished wine will be and the stronger the tannic characteristics will develop. Rosé wines are meant to be enjoyed right away, usually within 2-3 years after the label date. And, since they are made from many grape varietals, which can include: Pinot Noir, Grenache, Syrah, Cinsault, Carigan, Mourvèdre, and Sangiovese to name a few, you’ll be able to find rosé wines that span the taste scale from quite dry to refreshing and fruity. Basically, there’s a Rosé for every taste. The absolute perfect warm-weather wine. Poolside, al fresco dining, beach picnics, no wine is a better choice for summer than Rosé. And, because they are relatively inexpensive to make and don’t require aging, you’ll be hard-pressed to find a greater value than Rosé wine, so they’re typically as kind to your wallet as they are to your tastebuds. There are so many Rosé wines available, it can be confusing to know which ones to try, so we’ve pulled together some of our favorites so you can gift your Mom with a Dozen Rosés she’ll absolutely savor… plus, buy any two bottles of wine and get one of our exclusive “Mom” or “Dozen Roses” gift boxes! Intense aromas of fresh red fruits, lead to a smooth finish. Perfect with sushi or other seafood. And the label is pretty awesome, too! Big and creamy, with tons of strawberry and cherry flavors, but you don’t care about that, you just want a really great Rosé that pairs with all of your favorite foods… well this is it. They had us at Malbec — and a rosé version for warmer weather? Sign us up. Great with Chinese take out, make sure you let it breathe a bit before drinking. Washington State winemaker, Charles Smith has a no-nonsense approach we really like. This mouth-watering Rosé has the added bonus of a screw-top cap so there’s no need to bring your wine opener when you’re enjoying it on the beach. The debut Rosé offering from the premiere vineyard which produces Duckhorn Wines, it’s a truly elegant Rosé in every sense of the word. Vibrantly fruity, beautifully poised, a mix of two outstanding grape varietals. Another Rosé option for the discriminating wine lover, Flowers version has a brilliant coral hue, aromas of strawberry, grapefruit and rose petals and wonderful complexity. The first thing you'll notice is the color — somewhere between blush and bubble gum – and it just gets better from there. Really. Got an invite to your friend’s beach house? Bring this one and ensure you’ll be invited back. It’s bright and juicy and everything you want in a summer wine. When we think about Rosé our first thought is always the Rosés from Provence and this one doesn’t disappoint. It’s pale salmon hued blend of Cinsault, Grenache and Mourvedre is in a word: exceptional. We can’t think of a better varietal blending than Syrah and Petite Sirah. They perfectly complement and enhance each other, resulting in a wine that’s smooth and just fruity enough. Don’t like sweeter wines? This California Rosé is dry and fragrant, with refreshing fruit balanced by the perfect level of acidity and an elegant finish. It works with some of the toughest wine-pairing foods we know — spicy Thai, Indian curry, Tex Mex, even pizza. 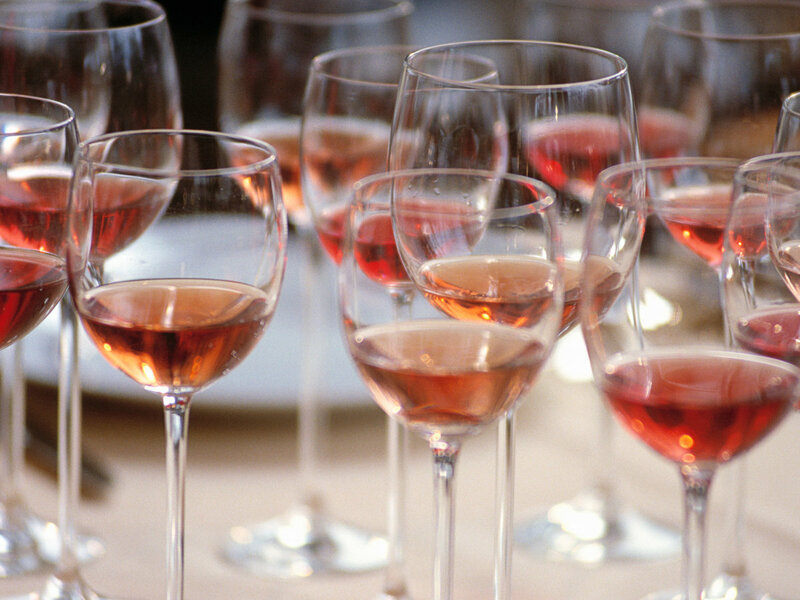 There you have it… a dozen Rosés guaranteed to make you the favorite kid this Mother’s Day. Pick up the entire dozen, or just one or two, at your neighborhood Wine Country or Wine & Whiskey Country Store. And, don’t forget, buy any two bottles and we’ll give you a FREE “Mom” or “Dozen Roses” gift box — so pretty you can skip the wrapping paper. Happy Mother’s Day from all of us at Wine Country Stores! Thank you to everyone who helped to make the Grand Opening of our brand new location at 124 Maple Avenue, in South Plainfield such an incredible success! • Mayor Anesh and Members of the South Plainfield City Council for being on hand for our official ribbon-cutting ceremony. • Our incredible customers — both old and new — for stopping in and helping us achieve a banner sales day. • The many local business leaders for visiting and showing their support. • Our new neighbors, Ciccio’s Pizza for donating delicious pizza and zeppolis, and Dunkin’ Donuts for the donuts provided for our customers to enjoy. 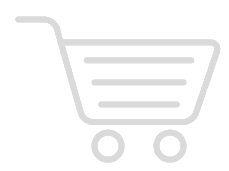 • Our partner vendors for organizing all-day wine and spirit tastings. • The most enthusiastic, knowledgeable, professional staff, who helped customers and made expert recommendations throughout the day. 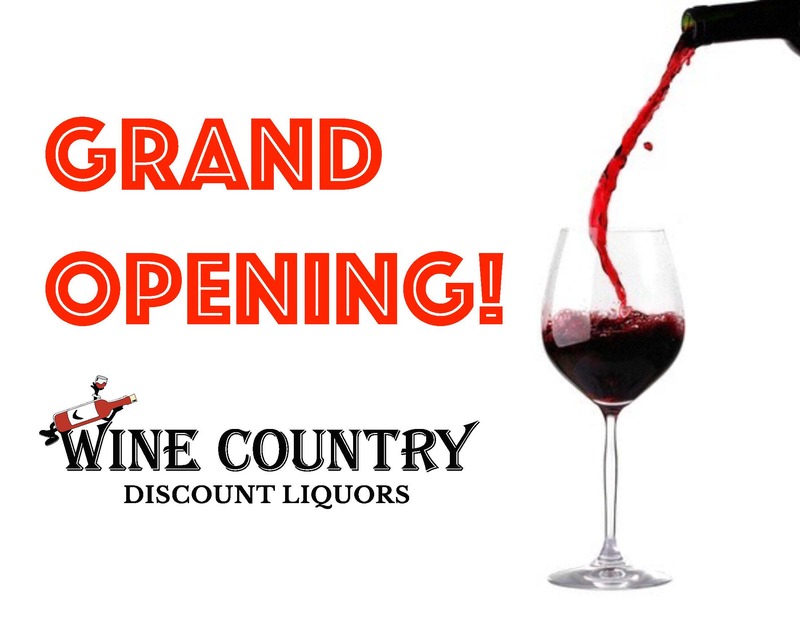 To keep the celebration going, we’ll continue to honor our Grand Opening Sale prices through Sunday, May 6th with 25% OFF every 750ml bottle of wine and 10% OFF all spirits*! 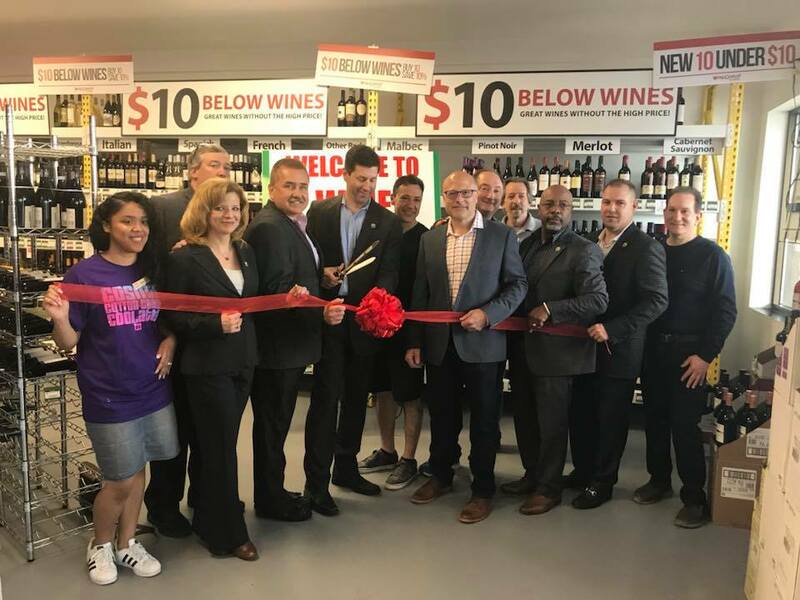 We’re proud to be a part of the South Plainfield community and look forward to being your source for the best selection, pricing and service when you need wine, spirits, beer and even great gifts that you won’t find anywhere else! Top 5 Reasons to Attend our Grand Opening! You read that right — 25% OFF every 750 bottle of wine — making it the perfect time to replenish your wine stock, try something new, or splurge on that high-end wine you’ve been dying to buy. Duckhorn Sauvignon Blanc - A “treat yourself” wine you need to try, this rich and elegant Sauvignon Blanc is blended with Sémillon for added depth and complexity. Breezette Rosé - When we think about Rosé our first thought is always the Rosés from Provence and this one doesn’t disappoint. A pale salmon-hued blend of Cinsault, Grenache and Mourvedre is in a word: exceptional. Luca Paretti Lovo Prosecco - The hint of fresh fruit and crispness of this effervescent, sparkling wine from Italy makes it ideal for enhancing light summer foods. Bubbly, crisp and so refreshing. Lolea Sangria - Handcrafted all-natural sangria, in cute polka dot bottles, is perfectly refreshing for parties and available in red, white and rosé varieties. Chilled, fruity, the stuff of celebrations! Whether you’re a vodka lover, whiskey aficionado, gin drinker, or all of the above, now is the time to stock up on the spirits you will need to get you ready for a season of cocktail-worthy good times. Prohibition Distillery Bootlegger 21 New York Vodka - Not your ordinary vodka, this organic micro distillery vodka from New York is incredibly smooth (one of the smoothest vodkas we’ve ever tried). Hard-to-find, but we have it! Monkey Shoulder Blended Malt Scotch Whisky - Looking to try something new? Here’s a whisky you’ll love. Mellow vanilla, with spicy hints. It’s amazing on the rocks or sipped neat. Dad’s Hat Rye Whiskey - Spicy with a dry finish – not as sweet as bourbon and without the smoky finish found with most scotch whiskies. Should be part of any whiskey collection. We’ll be pouring, you’ll be tasting — all day long! Perfect sips of private-label, best-sellers, and hard-to-find wines, and our favorite craft and microbrew beers. Plus, our Wine and Beer Pros are always ready, willing and able to help you find the newest, the best, the tastiest items around! Fun gifts, wine and beer accessories and more. All day long and all FREE! Bigger and better than we were before, with an expanded selection of the products you asked us to stock and prices that you won’t be able to resist. Our Wine, Beer and Spirit Pros can help you find the items you are looking for or recommend things we know you’ll come to love. Plus, we have an exclusive collection of gift boxes and baskets for every occasion! Join us on Saturday, April 28th at 1:00PM for the official ribbon cutting at our brand new location at 124 Maple Avenue in Lakeview Plaza! Then enjoy special savings, free giveaways, and tastings all day long! Face it. The neighborhood Book Club thing has been done to death. And Bunco? Don’t even get us started. 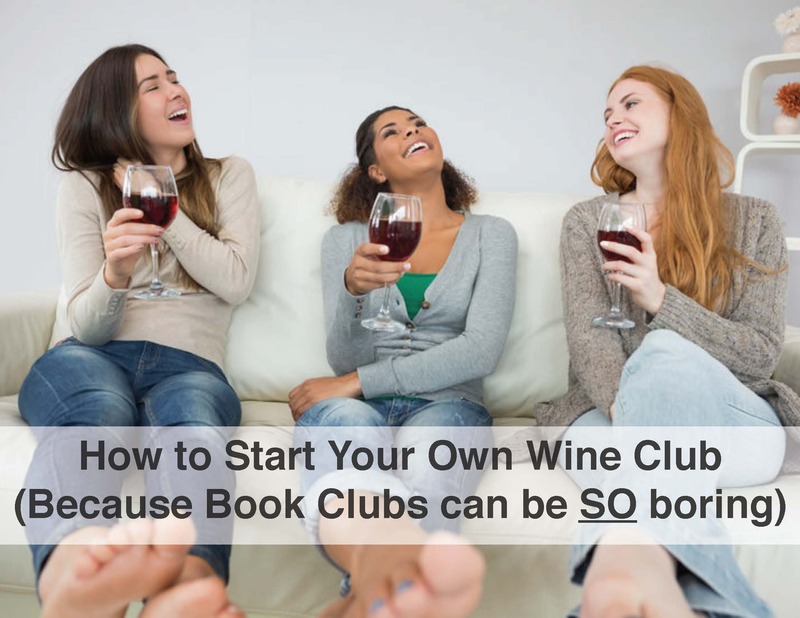 But a Wine Club — a way to share your love of wine (and learn about it), while hanging out with your friends? That sounds like something worth spending a Thursday night doing. Friends - Put out an All Points Bulletin for friends who enjoy wine. Post on your Facebook page, on your Office Intranet site, do a group text, you’ll be AMAZED at how many people respond when the word “wine” is included. Wine - The point of a Wine Club is not to spend a fortune, it’s to learn about wine and enjoy doing it with the people you care about. Read up, look for that unknown wine that will blow your friends away (we’ll get to some recommendations later). A Wine Club is not the time to pull out those bottles that can be found anywhere. A Place to Host - The best place for a Wine Club meeting is in someone’s home. There are no time restrictions, cover charges, or costly food obligations. We always like to do a rotating hosting schedule, so everyone gets a turn to play host. Don’t have a place to host when it’s your turn? Offer to provide the cheese and crackers for someone else to play host on your behalf! Now that the basics are covered, it’s time to put your own personal stamp on things. Assign a theme for each night that will make things interesting and help expand the groups’ knowledge and appreciation of wine. Resist the urge to go for something safe. Yes, Apothic Red is a real crowd pleaser, but just about everyone has tried it. Think outside the box (or in this case outside the bottle) and bring something that most people have never tried. Four different varietals to choose from - Cabernet, Merlot, Pinot Grigio, or Chardonnay. Whichever one you select, you will not be disappointed. Incredibly smooth, incredibly flavorful wines that come to us exclusively from one of Napa's most recognizable vineyards (but that's our little secret). Our favorites are the Chardonnay and the Cabernet. One sip, you’ll be hooked. One of the best things about starting a wine club is discovering wines you (and your friends) may never have tried before. You couldn’t find it, could you? Not even on Eaglestone’s own website. BUT WE HAVE IT (don’t ask). And it’s AWESOME. Fabulous at $30 or more, but you can get this one direct from our $10 & Under collection! No joke. Yes, kosher. Some of the hottest new wines are hailing from Israel. And, if you haven’t tried kosher wines before, you really don’t know what you are missing. Old World Style, amazing varietals, today’s kosher wines are a must-try for any wine lover. Try the Cabernet Franc from Alexander Winery, you won’t be disappointed. When we think about Rosé our first thought is always the Rosés from Provence and this one doesn’t disappoint. It’s pale salmon hued blend of Cinsault, Grenache and Mourvedre is in a word… exceptional. While it isn’t necessary to have a prize for the favorite wine of the night, it certainly adds an extra special touch. We suggest a gift of — you guessed it, Wine! Our Top Wine Picks for This Year's Easter Dinner! As the unofficial kickoff to spring, Easter Sunday presents an opportunity to lighten up the dark and heavy reds of winter and welcome wines with more delicate flavor profiles. If you’re hosting the family or plan to be the most popular guest at the table, we’ve gathered some of our favorite Easter-worthy wines to pair with some of the most popular menu options! A well-known Napa winery makes this bright, balanced Chardonnay exclusively for Wine Country. We can't tell you which winery, but once you try it you'll want to buy a case to keep on hand. It's that good. A beautiful, deep, vibrant rose color. Has a surprising amount of body for a rose wine, and beautiful aromas of fresh, ripe wild strawberries. 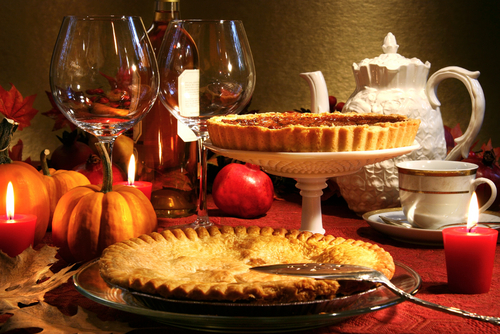 Pairs beautifully with turkey. This light, refreshing white from a family-owned New Jersey winery is fruit forward, lusciously sweet and the perfect partner to roasted turkey. A good choice if you’re just starting to appreciate rosé. A seductive, elegant, dry wine, with an intense cherry-pink color, it shows distinct Syrah character: spiciness and hints of strawberry, rose and orange peel. One of the smoothest Pinot Noir wines we’ve tried in a long, long time and one of those rare wine finds that will have everyone asking where you bought it. Don’t miss this one! Flowers vineyard has been wowing wine drinkers for years with their extraordinary Pinot Noirs and this rosé version is every bit as memorable. Brilliant coral-salmon hue with fresh, fruity and wonderfully balanced flavors. A distinctive California Pinot Noir with a world-class taste. Rich ruby hue with lush, fruity aromas and hints of vanilla, mocha and toasty oak. Silky texture and wonderfully balanced. Intense fruity flavors, and incredibly smooth, this California Merlot comes exclusively to Wine Country from one of Napa's most recognizable vineyards (but that's our little secret). Easy, velvety and ready to drink now. The idea of tackling France—the accents and the growing regions and the different vintages—can feel like a vast, unmanageable task for anyone who wants to start learning about wine. But even the most seasoned wine professionals sometimes mispronounce words, so you shouldn't worry. Today's guide will help you get a little more comfortable in the French section of your local wine shop. French wines can be confusing because they rarely put the name of the grape on the bottle. Instead they put a controlled place name, appearing on the label as the "Appellation d'Origine Contrôlée." You will often see this abbreviated as AOC or, to get in line with EU terminology, AOP. The rules for winemaking and grape growing in each appellation have grown out of each region's long history. Why put the place on the label instead of the name of the grape? Many people would say that it's because of the notion of terroir. Essentially, terroir is the wine's expression of the place from where it came. When winemakers speak about terroir, they're talking about a variety of things that influence the vine, including the type of soil it's growing in, the slope and elevation of the vineyard, as well as the climate and weather. Though it's hard to make broad generalizations, you might find that French wines tend to focus less on fruit flavors than wines from newer growing regions in the New World. French wines might be described as earthy or mineral—which means they taste a little like dirt, chalk, or mushrooms. Today we'll cover a few of the major regions that you should know. When someone says "red Burgundy," they're talking about Pinot Noir. And when they say "white Burgundy", they mean Chardonnay. But as with most French wines, you won't see those grapes on the label, so it's worth getting to know a bit about the famous wine-growing regions of Burgundy: there's Chablis in the north, the Cote d'Or between Dijon and Lyon, Cote Chalonnaise, the Mâcon, and Beaujolais. Most wines from Burgundy are split into four major tiers of quality. Regional wines (which are just labeled, say, Bourgogne Rouge, Bourgogne Blanc, or Cremant de Bourgogne) are at the base, made from grapes sourced anywhere in Burgundy. As the prestige goes up, you're getting grapes from a more and more specific area. Next up from regional wines are those specific to one village, then wines sourced from premier cru vineyards, and finally, the top classification is for wines from the most prestigious sites, called the grand cru vineyards. The appellations in Burgundy are attached the piece of land, regardless of who is making the wine. Some pieces of land may have dozens of producers, with each winery owning a few rows of grape vines. How did Burgundy end up with this system? Well, it's all about the history. Monks have been farming this land for centuries, and noted which spots seemed best for growing grapes. The vineyards were split among multiple owners as generations went by because the Napoleonic code stipulated that a family's vineyards were split among their children, not inherited all together. The Cote d'Or is made up of two main regions, Cote de Nuits in northern area, and Cote de Beaune in the south. Cote de Nuits is more known for its Pinot Noir and the Cote de Beaune is famed for its Chardonnay. Moving south, you will find two regions that serve as excellent (and often more affordable) introductions to the wines of Burgundy: the Cote Chalonnaise and the Mâcon. You'll find great deals in Pinot Noir from Givry or Mercurey. For Chardonnay, look for Pouilly-Fuissé, St-Véran, or Rully. Red wine in Burgundy is mostly about Pinot Noir, but there is one exception: Beaujolais. In this area, delicious red wines are made from the gamay grape. There's much more to these wines than the quickly-produced Beaujolais Nouveau meant for harvest celebrations; those cheap wines really don't represent the quality of the region on the whole. Wines from the ten 'crus' of Beaujolais are beloved among wine nerds and often a great bargain. There are ten crus, but some of the ones you'll see the most are Morgon, Fleurie, or Moulin-A-Vent. Between the two branches of the river-'Y' shape is a region called Entre Deux Mers, known for its white wines made from Sauvignon Blanc, Semillon, and Muscadelle. You might have heard the terms 'first growth' or 'second growth' in relation to fancy wines from Bordeaux. These classifications come from a ranking system from way back in 1855, when the wine estates of the region were ranked in order of quality from 'first growth' to 'fifth growth'. 160 years later, some of the top wines are still truly mind-blowing....and expensive. Unlike in Burgundy, the classification in Bordeaux is based on the producer, not the specific piece of land where the grapes are grown. Traveling east from the Pays Nantais, we come to the Anjou-Saumur and the Touraine. The white grape Chenin Blanc and the red Cabernet Franc are the most common here. We love the dry Chenin Blancs from Savennières, as well as both the dry and sweeter examples of the grape made in Vouvray. If you're looking for Cabernet Franc, seek out red wines from Chinon and Bourgueil. While also found in the Bordeaux blend, on its own, Cabernet Franc expresses itself with black cherry, herby green vegetables, and plenty of potting soil. You'll also find peppery, tangy, and bright Pineau d'Aunis in Anjou and Touraine. When they're ready to go, the necks of the bottles are frozen and, in a moment of organized chaos called disgorgement, the crown cap on the bottle is popped off and the pressure that has built up in the wine pushes out the frozen yeast deposit. The bottle is topped off with some wine and sometimes sugar (the dosage) before being corked and sealed with a wire cage. All this hard work means that Champagne is definitely pricey—often starting around $40. You can also look for wines made from the traditional method in other areas of France, often for around $20. One easy kind to spot is anything labeled 'Cremant.' These wines will come from other areas around France, such as Burgundy, Alsace, or the Loire. You will see 'Premier Cru' and 'Grand Cru' on bottles of Champagne—this label applies to the entire village from which the grape comes, rather than specific vineyards. You'll find Alsace right on the German border of France. Over the last few hundred years, France and Germany have alternated possession of the area and a unique blend of each country's wine heritage remains. Unlike in most French regions, wines from Alsace most frequently do have the grape of the label. The most exalted grapes in the region, called noble grapes, are Riesling, Pinot Gris, Gewurztraminer, and Muscat. In Alsace, these wines are unusually intense and mineral, not the fresh-and-fruity wines you might expect from these grapes. If you see 'Gentil' on a label of an Alsatian wine, it means the bottle holds a blend of the noble grapes (as well as up to 50% wine from other grapes). These blends can be a particularly good value. Alsatian examples of Pinot Blanc and Sylvaner are also delicious and are generally much cheaper than wines made from the noble grapes. While most grapes grown in Alsace are white, Pinot Noir does make an appearance on its own as a red wine and in bubbly Cremant d'Alsace. When you think Northern Rhône, think Syrah. The grape finds its most peppery, meaty expression on the steep hillsides that line the river. A good way to get into these wines is to try St. Joseph or Crozes-Hermitage, but even these can be a bit pricey. Some talented producers make wines under the humble Vin de Pays Collines Rhodaniennes, and these can be delicious and extremely affordable. You'll also see white wines made from Viognier grapes in this area. The sunny Southern Rhone is all about the blend, with Grenache leading the charge. They're usually "GSM," shorthand for Grenache, Syrah, and Mourvèdre. Other grapes, such as Cinsault and Counoise, also make an appearance and in fact, thirteen different grapes are allowed in the blend for Châteauneuf-du-Pape. The white wines are often blends of Grenache Blanc, Marsanne, Roussanne, and Viognier, though a few other grapes are also allowed. The Rhône wines you will most often see in a wine shop or on a wine list will say Côtes-du-Rhône on the label. These, too, are likely to be GSM blends, sometimes including Cinsault, Carignane, and Counoise. If you want to take one step up from the basic Côtes-du-Rhône wines, look for one of the 18 villages that are allowed to add their name to the label. (You'll often see Visan, Sablet, and Cairanne.) Gigondas, Vacqueyras, Beaumes-de-Venise, and Vinsobres often offer a bit more quality; they used to be under the Cotes-du-Rhone name, but have been elevated and now stand on their own as appellations. Languedoc and Roussillon are two large regions that lie on the coast of the Mediterranean. Red and rosé wines from these areas are generally a blend of Carignan, Cinsault, Grenache, Syrah, Mourvèdre, with other indigenous and international varieties making an appearance. 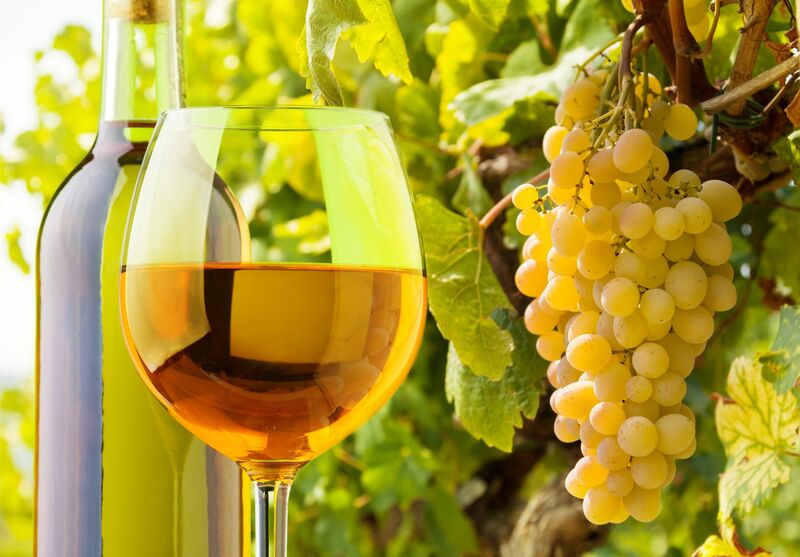 White wines are less common, but when you see them they are also usually blends that include Grenache Blanc, Marsanne, Roussanne, Muscat, and sometimes other grapes. If you love the warm climate wines of California or Australia, these regions are a wonderful way to introduce yourself to France. The sunshine gives plenty of fruit flavor and body to the red wines from the AOCs of Côtes du Roussillon, St. Chinian, Minervois, and Languedoc (Languedoc is the general name for the region and a specific AOC, you still with me?). Rousillon is also known for its fortified sweet wine, made in spots like Rivesaltes, Maury, and Banyuls from a Grenache blend. You might see 'Vin De Pays d'Oc' on a wine label from this region—it's a country wine classification that is one step up from table wine but without as many restrictions as Appellation Contrôlée wines. Good value alert! When we think of Provence, we first think of rosé. They make a lot of it here, usually a blend of Grenache, Syrah, Cinsault, and Mourvèdre that pairs perfectly with sunshine and beach umbrellas. But there's more to Provence than just these lovely, dry pink wines: if you're looking for reds, look to Bandol. This region sits along the coast and produces mostly red wines from a blend dominated by Mourvèdre. Producers in Bandol also tend to make exceptional rosé wines from younger vines that aren't quite ready to be used in red wine. There are more grapes and regions in France than you probably have time to read about on your lunch break, but we hope we've given you a few handy basics. An exciting part of exploring the world of wine is that, despite some tried-and-truisms, it’s always evolving and changing. Here are some fresh ideas to shake up your sipping this year. It's easy to be intimidated by traditional wine rituals and rules instead of following your own intuition and palate to discover what you really enjoy. Fortunately, today almost anything goes, including many old myths, which are being busted by the modern wine industry. For instance, are you convinced that cork is better than cap? Unless you’re cellaring a wine for years, screw-tops and pop-off caps now preserve the product of many coveted wines. Still pairing only red wine with red meat and white wine with white meat? Sommeliers aren’t; most will now happily recommend white Burgundy or creamy Chardonnay with steak, or a Pinot Noir with poultry (or rosé with everything). If you’re drinking red wines at room temperature, the current consensus is that many of them are better served cool. Try putting your reds in the fridge for 30 minutes and, correspondingly, taking your whites out half an hour before serving to take off the big chill. There’s no right or wrong way to enjoy wine, but here are some new ideas to help you discover what’s new, exciting and worth trying. Savvy wine drinkers know that “noble rot” (describing the botrytis fungus that can destroy crops or produce coveted dessert wines) or “barnyard” (animal or vegetal wine aromas, courtesy of the Brettanomyces yeast that can be a virtue or a fault) can actually be desirable qualities. Likewise, unfiltered or slightly oxidized wines — once worthy of being returned — today might be just what the winemaker intended. Though so-called low-intervention or natural wines can be wildly unpredictable from year to year or batch to batch, these authentic and rustic-tasting wines are growing in popularity. Once upon a time, sweet wine was taboo; today, sweetness can be a treasured quality in wines that have acidity, tannins or other balancing qualities. From fewer chemicals and less water-intensive growing to environment-friendly packaging wine is going smaller-footprint. It’s not just for summer sipping anymore. Rosé’s wide range of drier styles has been discovered by wine lovers, and its versatility with every course is beloved by diners. Since color or even the country of origin doesn’t always dictate the taste, read the label for clues about grape varietal. Grenache/Garnacha rosé will be off-dry, and great with big Mexican, Indian or Thai flavors. Pinot Noir grapes give an elegant acidic balance to dry rosés that complement many poultry and fish dishes. 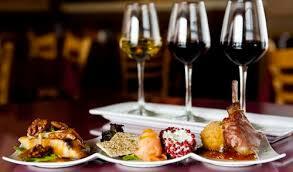 Sangiovese or Syrah rosés have spice that bounces well off fatty and creamy dishes, from meats to pasta. Many rosés are blends of a few grapes — experiment to find your favorites. A shortcut guide to trendy regions and wine styles, and fresh rules-of-thumb for tasting without fear. When in doubt choose whites (like Albariño) from Spain, rosés from France and reds from the U.S. (California for bolder varietals and bends, Oregon for Pinot Noir)—a highly simplified matrix that rarely disappoints. Namecheck white wines from Portugal’s Douro region and look out for Aligoté, a staple grape in white Burgundy blends now in the varietal spotlight. We all know German Riesling and Austrian Grüner Veltliner are a foodpairer’s friends: watch for Austrian Riesling as the next big thing. The use of big, egg-shaped concrete ageing-vats rivals barrels and stainless tanks — labels and websites often “eggs-claim” it. The Loire Valley in central France is a current wine-world darling for whites like Chenin Blanc and light reds and rosés featuring Gamay. Vin de soif is a French (and sommelier) catchphrase for a light, quaffable wine that’s great with or without food. Southern Israel’s vineyards, which you can count on one hand, have one winery that consistently scores marks above 90 in Robert Parker’s Wine Advocate, the worldwide arbiter of good wines. It was my pleasure last week to meet Roni Jesselson and Etti Edri of Yatir Winery at Congregation Ahavath Torah’s evening of wine and whiskey, sponsored by Wine Country, and also again at Royal Wines’ Kosher Food and Wine Experience. In 2000 Yatir Winery became part of that lush landscape, growing grapes between and around the forested areas, which “changed the desert soil and made it a better environment for grapes,” Jesselson said. The area is heavily irrigated and reaches the mid-80s in temperature most days. By the mid-2000s the wines were winning awards and medals. One early benefit of being associated with the Carmel winery was using the option to age wines longer before releasing them. The winery only produced 150,000 bottles a year, Edri said, compared with Carmel’s 15 million bottles annually. The only white wine Yatir makes is the Yatir Viognier 2016, 100 percent viognier, which is aged partially in steel vats and partially in old oak barrels for a very subtle influence of oak to keep the fruit forward. The nose contains peach and green apple, the taste has nice acidity and the aftertaste is distinctly and strongly citrus. Try this wine at Wine Country for $29. Robert Parker’s Wine Advocate chose the Yatir Viognier 2013 among only five Israeli wines selected as one of the best wines and best value of 2015. I know I don’t generally recommend whites priced at this level but this is a wine to try if you love whites with little to no oak and a beautiful mouthfeel. Yatir’s Mount Amsha 2012, an inviting red blend, is made from 50 percent cabernet sauvignon, 30 percent syrah, 14 percent petit verdot and 6 percent merlot. As the winery’s main entry level red wine blend, the grapes differ from year to year, but the winemakers work hard to ensure that the wine is uniquely “Yatir.” The wine’s beautiful dark red color, its nose of ripe plum and leather and its pleasant aftertastes of smoke and spice are indicative of its year spent with the varietals aging separately in oak, and then combined, bottled and then further aged another 24 months. Wine Country is selling this wine for $33. I recommend trying it while it’s still available! Every wine at Yatir is a hit, including the Petit Verdot ($35), the Syrah ($40), the Cabernet Sauvignon ($41) or for a special occasion try Yatir Forest ($65). 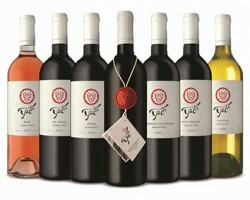 Yatir Forest is one of Israel’s leading wines, and has been awarded 90 points or more for the last nine consecutive harvests by Wine Advocate. This year’s wine, from 2013, comprises 68 percent cabernet sauvignon and 32 percent petit verdot. It is aged in French oak, some of which is new, for 14 months, then aged in the bottle for another year. It has deep, dark color with a nose of fresh tobacco leaves and strong, bracing tannins. This wine has a delicious warmth and strong sense of elegance and structure. he river of black shuttle buses negotiates sharp switchbacks, bouncing upward along miles of uneven pavement that fades into dirt, from two lanes to one, climbing beneath oak forest that blocks out the morning light. Cellphone service dwindles to nothing. Finally, a metal gate appears, a large "M" at its center, and soon the Cleveland Cavaliers pour out of the buses. About 60 members of the franchise gather near tables covered in white cloth, sitting atop cedar bark spread across a small clearing. They clink flutes of 2006 Dom Pérignon in toast. Nearby, all around the property, lies charred earth. Burned hillsides, stippled with the black skeletons of trees, loom ominous. This is Mayacamas, one of Napa Valley's most iconic wineries. Not many of the Cavs have been here, but LeBron James has, and he recognizes that the area where he's standing now, the small clearing, once belonged to a building that is no more.